Edit (04/16/2014): Added a new function called GetBitmapFromFolderPath, which returns the associated icon from the path to a Folder (or drive!). 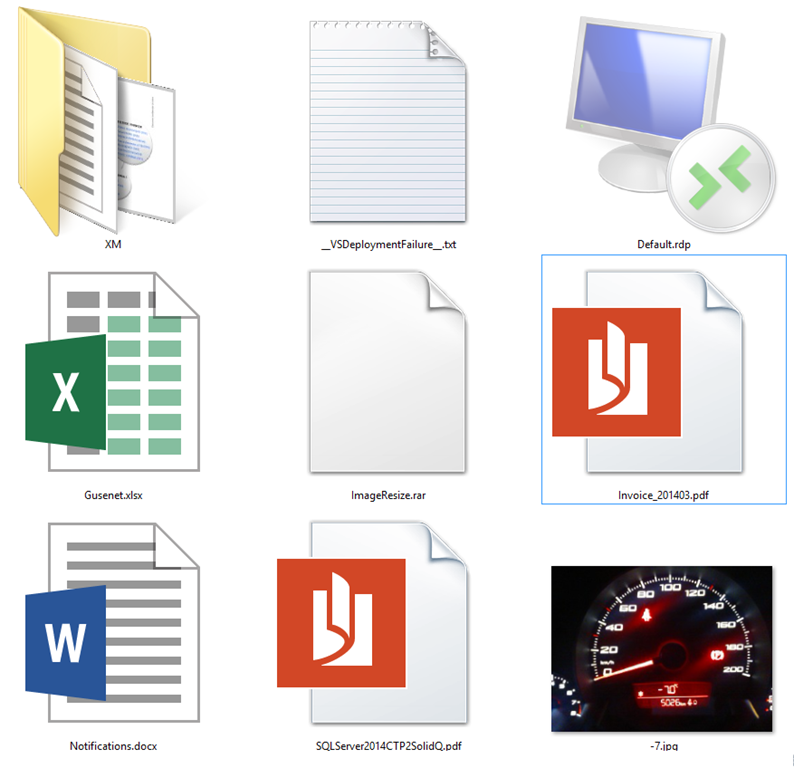 Sometimes we are required to show a list of files with their associated icons. This task sounds quite easy, and in fact it is… Except if you have to deal with files in network paths or you want to get different icons sizes, apart the typical 32×32. If you want to achieve this using managed code (the easy way), there is a static method called ExtractAssociatedIcon under the class Icon to achieve that, but sadly this method doesn’t work with UNC paths neither return other sizes that 32×32 pixels. First, we need to make call to the SHGetFileInfo function that receives a reference to a structure of type SHFILEINFO, which contains the index of the icon image within the system image list. We will use this index later. Then we’ve to make is a second call to the SHGetImageList function that receives an output parameter with an IImageList structure, which is modified within the function. Once we have that COM interface, we only need to call its GetIcon method, passing a parameter with the desired size, and obtaining a handle to the icon by reference. Tip: It’s very important don’t forget to destroy the resources (Icon) when working with the Win32 API! 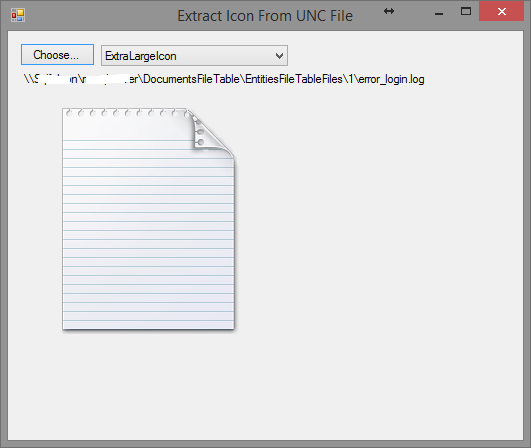 This method calls the previous one, obtains the icon’s handle and then creates the icon using the handle. Then creates a bitmap from the icon, destroys the icon and returns the bitmap. This is very nice ! What would I need to do to make this work when giving only an extension (with no file present) instead of a filepath?